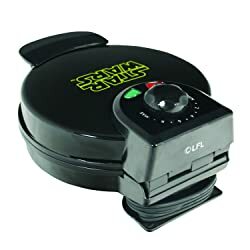 If you and your family and friends love waffles for breakfast, and especially if you’re Star Wars devotees, turn a boring meal into a Dark Side extravaganza with Sith Lord shaped waffles. 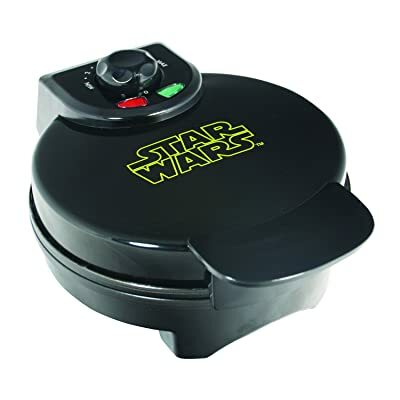 I like the fan-oriented Star Wars design that shows loud and clear on your counter. Nobody’s going to think that’s a run-of-the-mill bargain store waffle maker. Check them out before other fans get there first. 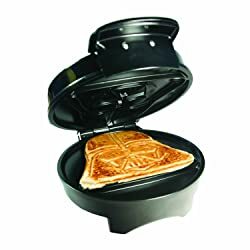 Be sure to check out the Dark Vader Toaster, too.